Tucked away on the outskirts of Mountain View, CA you’ll find the lesser-known, tiny town of Los Altos. 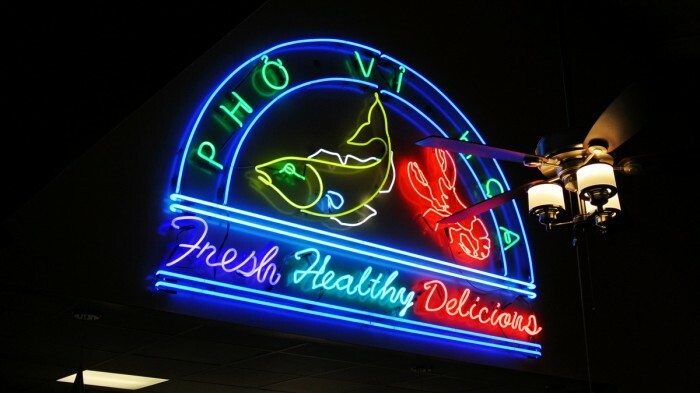 In this town, situated in a nondescript shopping center on the main highway there’s a restaurant called Pho Vi Hoa that serves phenomenal bowls of pho ’til 10 PM. 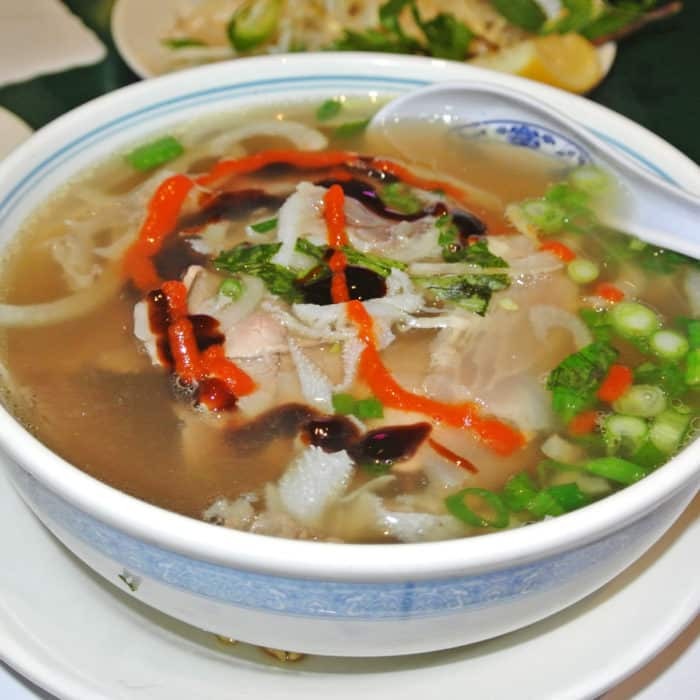 When rain strikes in Silicon Valley, I’ve found nothing more comforting than a big, steaming bowl of Asian noodle soup and I thank Pho Vi Hoa for providing a great one to me. The decor inside the restaurant is nothing special. It utilizes basic dark wood and carpeting along with a ton of glowing neon-tubed signage. But, let’s be honest, I’m not looking for anything fancy with regards to appearance. I just want a great meal. 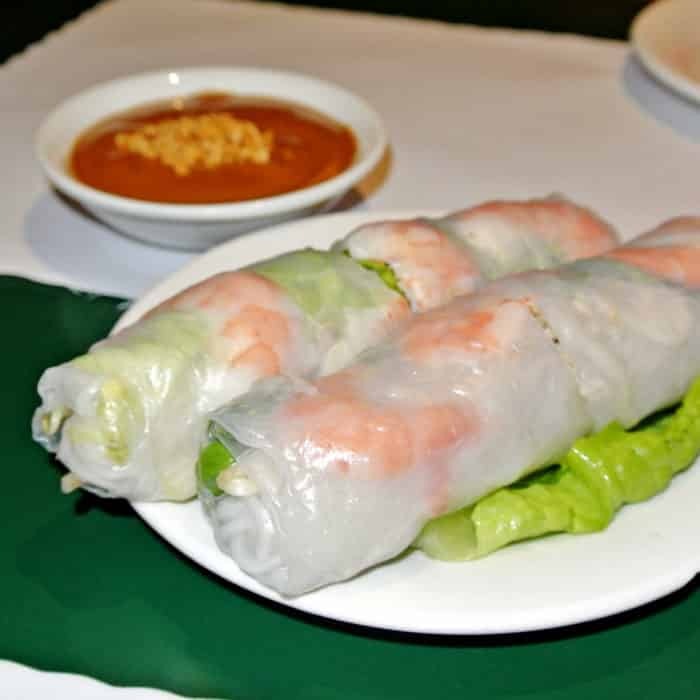 As I entered the dining room and made my way over to my seat, I noticed many of the other tables in the restaurant had plates of Fresh Spring Rolls known at Gỏi Cuốn so I figured they would make a nice meal starter for me as well. 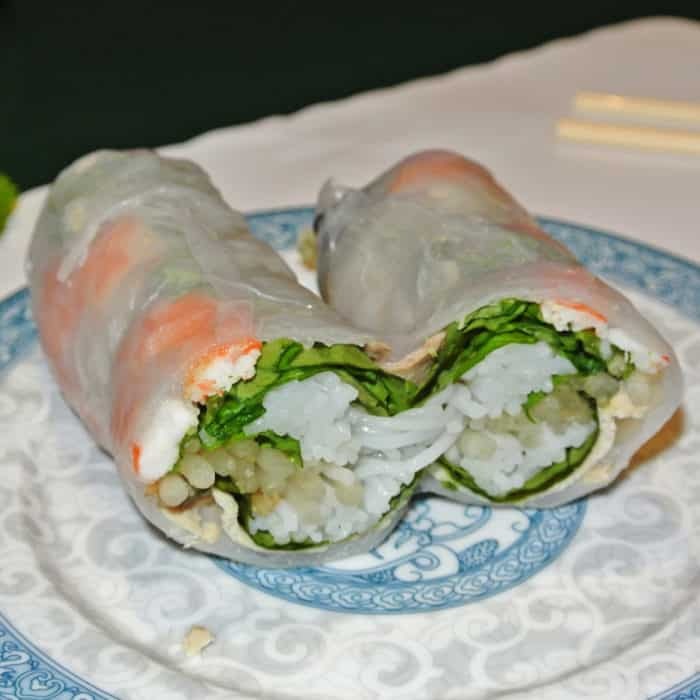 They were very good looking spring rolls with that sticky rice paper texture you’d come to expect, but the noodley interior totally dominated the thin sliver of shrimp inside. I didn’t get much shrimp flavor or any of the quintessential seafood snappiness I was looking for here. Don’t bother with these, save your room for the pho. Following other Foursquare users’ tips I made my soup selection of Phở Tái Nạm Gầu Gân Sách or more simply “P-13 Small”. This soup came loaded with a ton of tender wriggly noodles and all of the standard pho beef cuts like Eye Round Steak, Well-Done Flank, and Brisket along with my favorite offal parts, Shredded Tripe and Tendon. The broth was super clean, but still quite flavorful. Many of the better pho’s I’ve had in NYC tend to be pretty oily, so I was happy to find that this one had pretty much no oiliness at all and still remained deeply beefy with a nice touch of anise flavor. This didn’t stop me from doctoring up the broth to my liking though. I added some hoisin for sweetness, sriracha for heat, some mint for herbal flavor, and lemon juice for brightness. And yes, the small bowl is plenty big for dinner. I generally have a massive appetite and did just fine with the small. 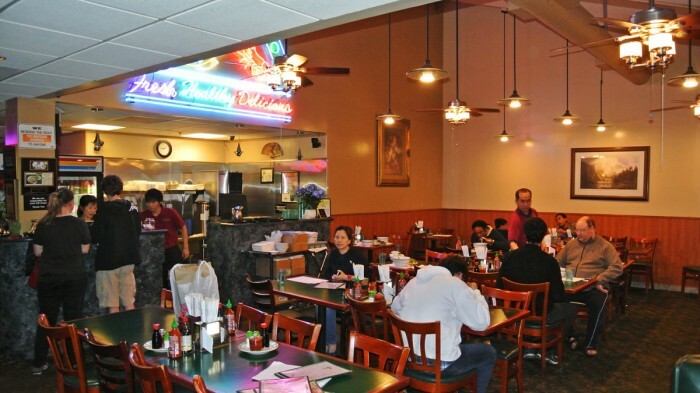 So if you’re looking for a comforting, hot bowl of pho in the Silicon Valley area, head over to Pho Vi Hoa in Los Altos. The broth is really clean tasting, but still quite flavorful and will leave you full, happy, and satisfied with your dining decision. 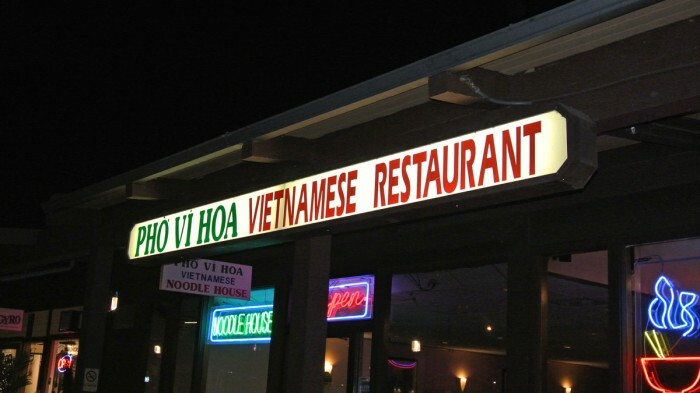 Got another Vietnamese spot in Silicon Valley I should check out? Let me know in the comments below.